Can I tell you how happy I am that Pam and Jennifer decided not to close Lasting Scent Candles? So happy. I think it was about last year at this time that they announced that they would be running through their last oils and be done. I went into full stock-up frenzy and took advantage of every last wax drop. Thankfully, now that I know they will be around for a little while I don't feel the pressure to go huge on orders. 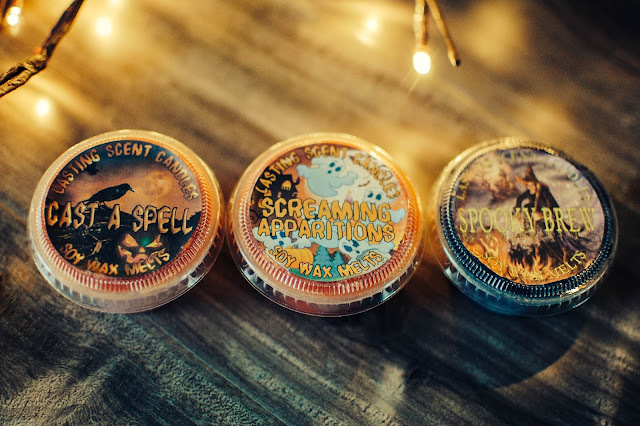 There were a few fall scents I wanted to get this last restock and I like the 2 ounce cups because I can split one between two warmers for less cost than buying two separate 1.5 ounce scent shots. The two ounce scent shots are $2.75 each and shipping was $9.75. I forgot to screenshot their scent descriptions so you will have to make do with what my nose smells. 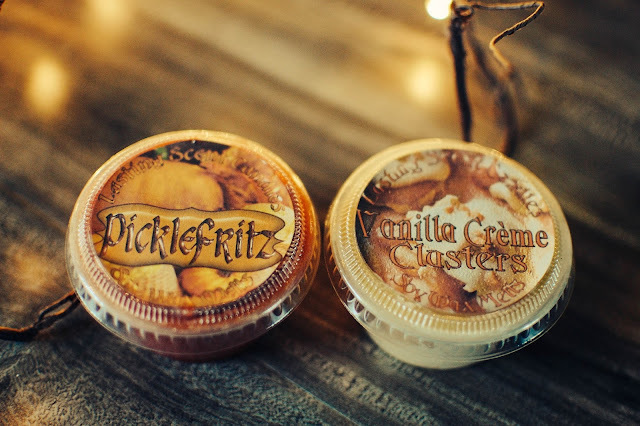 Picklefritz blends their signature Snicklefritz with pumpkin. Probably one of the most delicious pumpkin bakery scents I have ever sniffed. Deep orange pumpkin puree, slight spice and heapings of caramel and vanilla and butterscotch. Shoulda got two. Vanilla Creme' Clusters is rich too. Vanilla frosting, thick chewy sugar cookies and blondies. Wowza. Lasting Scent Candles really knows their vanilla. Cast A Spell brings spooky bubbling potions to mind. Black liquified patchouli, sacred cedar, eye of newt, wing of bat, earthen worms and dusty Halloween trappings. I love it of course. Might be a Witch's Brew dupe. Screaming Apparitions smells a little different this year. More pumpkin spice with brown sugar and marshmallow. Delish! Spooky Brew smells a little different too. The chai is a bit more peppery and spicy. Add in pumpkin and marshmallows and it is one dark and sinister drink. Crimson Moon was a favorite last year and I love it again this year. 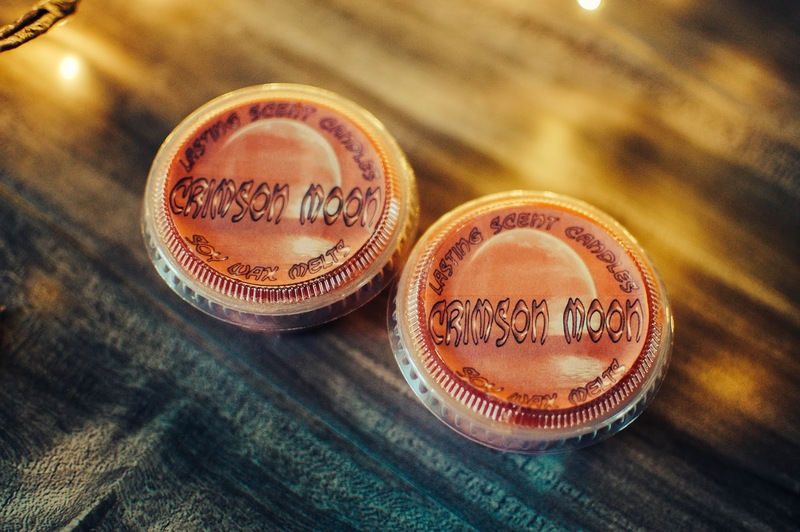 Blood oranges, spices and the zing of ginger. 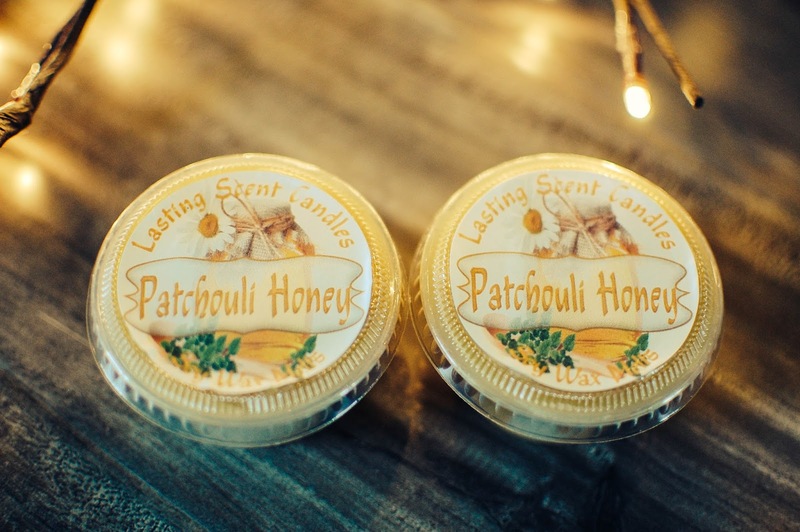 Patchouli Honey makes my heart sing. 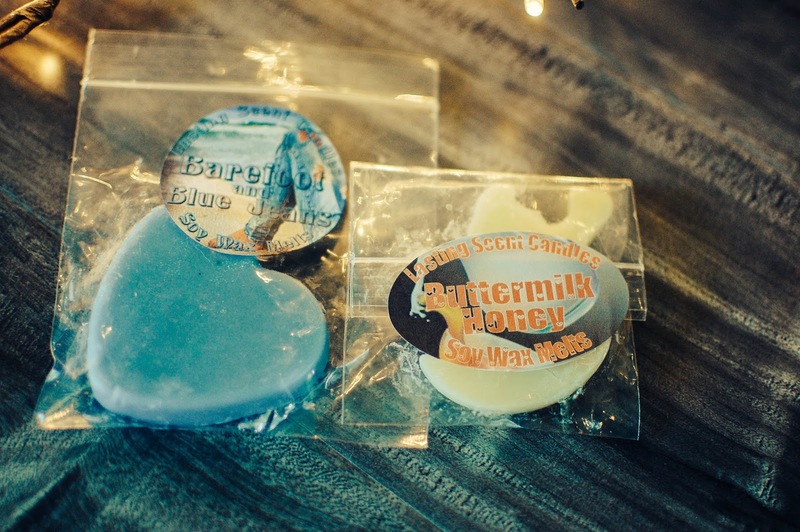 Light powdery honey and smooth green patchouli. Soft and sophisticated. 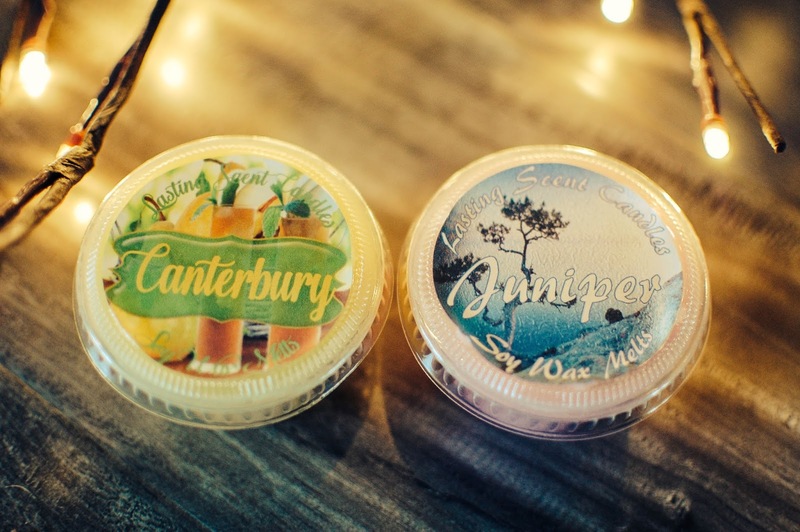 Canterbury was one I went out on a limb for, the notes sounded good alone but not sure how they would blend. Of course I have forgotten what all they were but I think there was tea and jasmine. It had a watery green vibe like aloe but a strange bitter note. Not a favorite. Juniper is one I always want but too often vendors only have Juniper Breeze, which is not what I am seeking. This one reminds me of Juniper Breeze. I keep hoping for a juniper with more cedar or pine or something a bit more aromatic. Barefoot and Blue Jeans- Ozone and aquatic. Sea and laundry. Not one I would reach for, but good to have on hand for the bathroom. Buttermilk Honey- This one is promising. A little tart with the buttermilk but the honey is sweet and mild. Have you bought from Lasting Scent Candles? I hope to catch one more fall/holiday opening. I just love their wax. I just placed my first order yesterday! I'm glad she isn't closing too; I've enjoyed the scents I've tried from swaps and destashes. You got me addicted to Scotchie Coffee of course. :) Of the ones you mentioned I got Vanilla Cream Clusters, Cast a Spell, and Pachouli Honey. I'm glad you love them because I probably will too. I don't know how I missed Picklefritz; kicking myself! Fingers crossed for a freebie. How exciting!! And perfect timing to get them on sale. I love when vendors have alittle sale since so few do. Scotchie Coffee is one of the only coffee scents I like in wax. 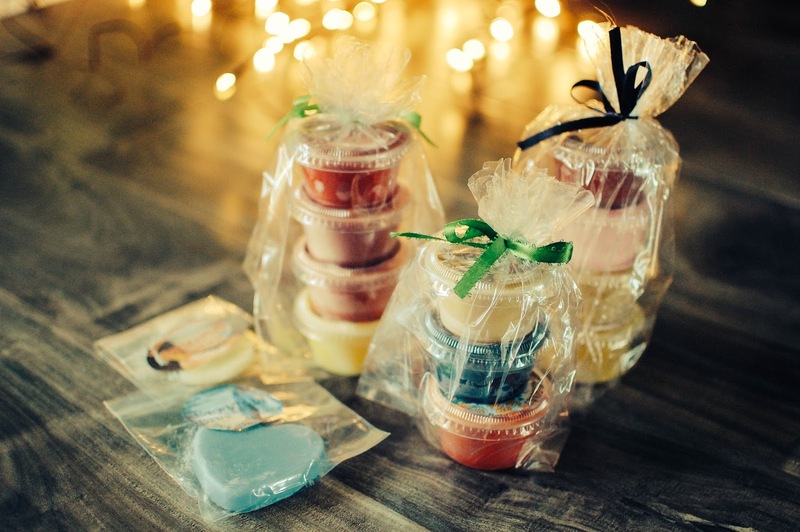 I hope you love your scents! I had a cart with a few in there but I really need to wait a bit, I just went back and everything is sold out. I bet they will bring Picklefritz back for the next opening. Which should be soon.